A product label is a vital part of a company’s identity, forming an incredible marketing tool that could determine whether a consumer selects one product over a competitor. There are many facets that go into creating this important identifying device. So let’s start at the beginning, what do label companies actually do? So what if you want to print stickers yourself? How do label companies actually make stickers? There are essentially two ways in which companies manufacture labels – traditional and digital printing. 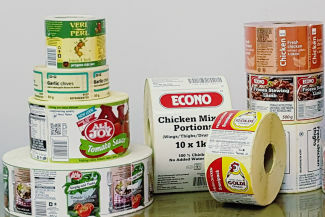 Although both methods – when performed by professionals using high-quality equipment – can provide eye-catching labels, digital is directly from computer to printer whereby traditional uses plates and solvents. Digital, while cost effective for smaller runs, can prove a bit costlier with bigger orders. There is definitely a move towards digital printing because there is no human factor which means less chance of inconsistency and error. Digital label printing means that the image you see on the computer is exactly what will be printed, with consistent levels of ink allowing for identical images on each run. 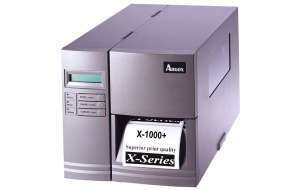 The direct computer-to-printer functionality means that clients can get a sample run that can then be tweaked to specification. Digital printing also allows for variable label printing which means a print run can contain a different set of numbers, barcodes or images for each label. However, there is still a place for the traditional mechanical presses which use flexography. Flexible printing plates are customised to apply ink onto the material which each colour applied sequentially as the material moves through the press. Although setting the plates and getting the colours right might take some time at the start, flexo is often the best option for bulk orders. Who usually orders stickers from label companies? What printing method do you use? Depending on your order size, colour and detail requirements, it will be worth deciding whether digital or traditional printing is the way to go. What is your capacity? It’s no secret that delays cost companies money and the faster your product is on the shelf, the better. Find out if your label company can handle the workload without delay. Can I get a sample? Particularly for digital prints, you can ask for a sample of the product to make sure you’re 100% happy with the result before placing a bulk order. How long will the label last? The label needs to outlast the product. Ask about the adhesive quality and resistance to weathering before placing an order. Can I see previous work? Any reputable label company will be able to showcase examples of work done to give you an idea of quality. What is your colour range? This is particularly important for company logos as you have to have the exact shade to make the image recognisable. Although a start-up label company might be able to offer you a better initial price, an established label company will be able to deliver quality labels suited to your specific requirements. Experience within the industry means that the organisation can tell you upfront whether your label needs will be met and within the allotted time. An established label company is intimately aware of which materials work best which what colours. You’ve taken time and spent money on the perfect design, so make sure it appears as vibrant on the label as onscreen. 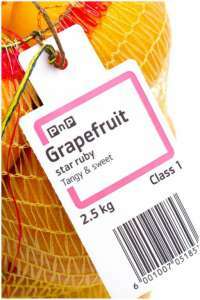 Poor quality labels will peel, become scuffed and the ink will run, affecting the overall image of your product. With so much riding on a product label, it’s imperative that you partner with a superior label company with a comprehensive understanding of the industry and quality final product.